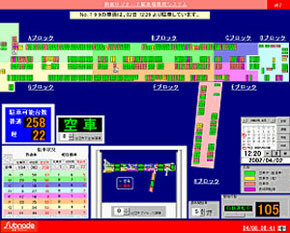 Parking monitor Occupied bays are displayed in red, and vacant bays in green. Long-stay parking monitor If the monitoring time is configured, long-stay vehicles are displayed in purple. Forced parking monitor Occupied bays can be displayed in blue at the click of a mouse and counted as occupied. of parked vehicles The current number of parked vehicles and capacity are displayed by block.